Weekend Reading | Wait for Me! 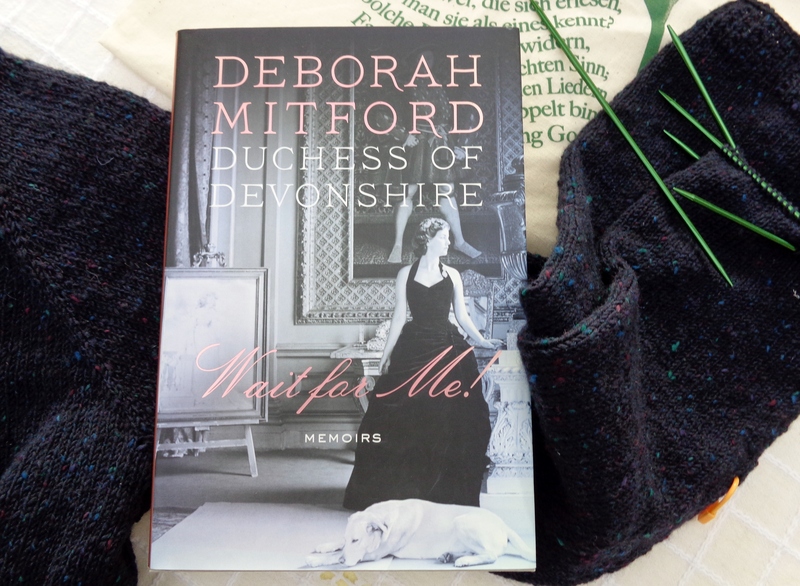 I’m reading Deborah Mitford’s memoir Wait for Me!. Together with her eldest sister, the writer Nancy Mitford, she’s my favourite of the Mitford siblings. I’ve had the book for a while but somehow never had gotten around to reading it. And what a joyful read it is! Like her sisters, Deborah is a natural writer and a charming raconteur. Her memoir chronicles her remarkable life: her excentric but happy childhood, her mariage to Andrew Cavendish and their life at Chatsworth. There are warm portraits of her sisters and parents, and she certainly has the knack for telling a good anecdote. On the knitting front, I’m on a bit of a roll. 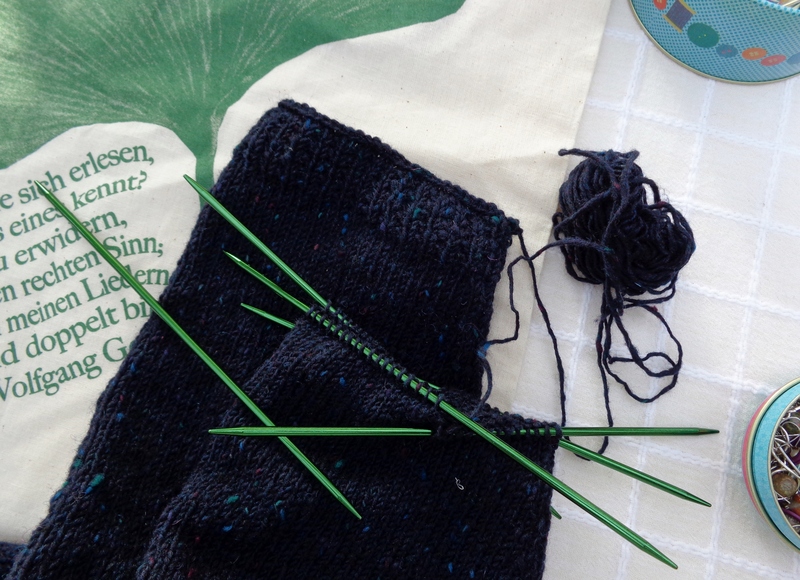 I’m knitting another one of these, in the process of finishing a Featherweight Cardigan – which you can catch a glimpse of in the pictures above – and, I’ve started on the second of another pair of Ecclefechan Mitts. But more on these later! Anyway, enough reading and knitting to keep me happy and entertained this weekend. Wish you all a very good weekend! sounds like the perfect weekend to me! Enjoy! !